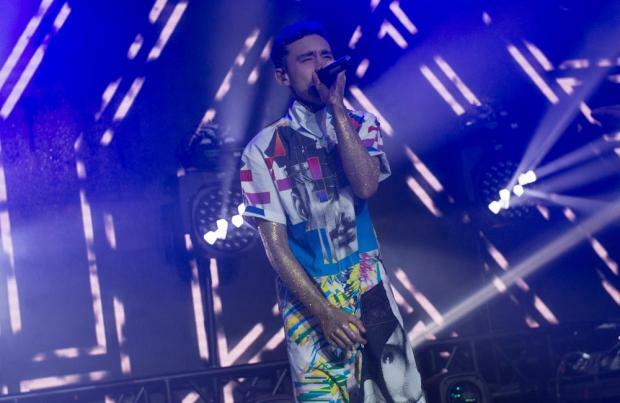 Olly Alexander channelled his "frustration" towards ex-boyfriends and his father on Years & Years' new album. The 27-year-old singer has confessed that he felt like he was "pushing an elephant up a hill" when he and his bandmates first started work on their follow-up to 2015's 'Communion', and like they'd never end up making LP 'Palo Santo'. However, as soon as he started writing about his former partners and his father, whom he is estranged from, Olly - who is joined by Mikey Goldsworthy and Emre Turkmen in the electronic pop trio - couldn't stop himself. Speaking to L'Officiel USA magazine, he admitted: "It was like we'd never get there. I was really angry at ex-boyfriends and my dad. "A lot of the frustration with the album was channelled into that, [but it] became a catalyst for writing more - and it worked." After producing lots of tracks, the 'Sanctify' hitmaker picked which ones should make it onto the record by asking himself if his 90s idols, Britney Spears and Christina Aguilera, would make a song like that. He explained: "I'd ask myself, Would Britney or Christina want to do this song? And if I thought they'd say yes, I knew it was worth doing." Olly says that the LGBT community has always shown their support towards the 'Crazy' hitmaker and 'Beautiful' singer when they've released "fragile" songs about heartache. He said: "They had very fragile, battled narratives. "[The gay community] all felt for them and wanted them to succeed." The actor-turned-singer previously joked that the delay in their album was partly down to playing the 'Zelda' video game, which was taking up precious recording time. He admitted: "The new album is being made. It's in the process. We are going to get it done. I can't get a word in. We are currently playing the new 'Zelda' game which is amazing. We are just playing 'Zelda' and playing music at the same time. But we are just in the process of getting it together. It's very different than the previous album but that's all I can say." 'Palo Santo' is released via Polydor on July 6.